Spray Polyurethane Foam (SPF) is renown for being a superior material for both insulation and commercial roofing projects, among other applications. SPF is the most robust insulating material on the market today and is frequently utilized to insulate a wide variety of residential, commercial, and industrial buildings. 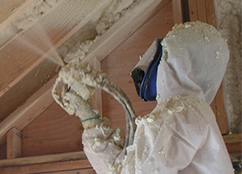 Spray foam can fully insulate a home or building, as well as seal it from air and moisture infiltration, resulting in a more efficient structure with lower energy bills. Spray foam can also strengthen the walls and roof of a home or building, as well as protect it from airborne particulates and mold. Spray foam can be installed over a wide variety of substrates, including concrete, wood, steel, and most existing roof systems. When it comes to roofing applications, SPF’s versatile adhesive property can translate to savings on roof removal expenses and landfill fees. Applicators can easily install a tapered foam roofing system, which is less expensive than installing other tapered roofing systems. Vertical terminations, protrusions, and mechanical unit risers can easily be spray applied with SPF, which makes them an integral part of the roofing system and minimizes addition material costs. 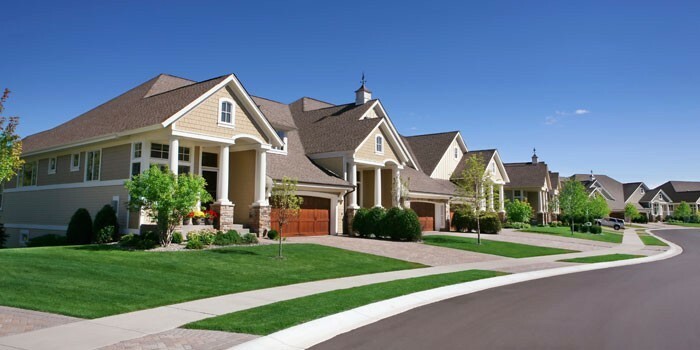 Are you a homeowner looking for a spray foam contractor in your area? 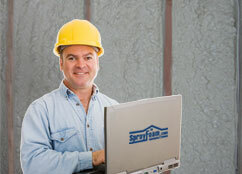 Click to browse through our list of contractors near you. 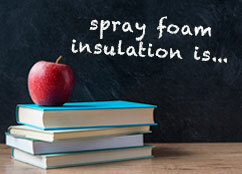 Safety is the most important part of installing spray foam, or having it installed in your home or building. Get the facts here.